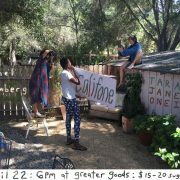 welcoming three dynamic musicians & visual artists to greater goods: tim rutili of califone, tara jane o’neil, & rachel blumberg of the decemberists. 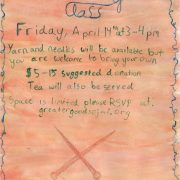 yarn and needles will be available but you are also welcome to bring your own. tea will be served. 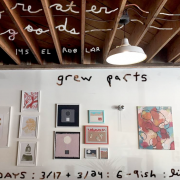 Enjoying homegrown art, music, and each other two Fridays in March.